evil, Evil, EVIL Planet Tinko! 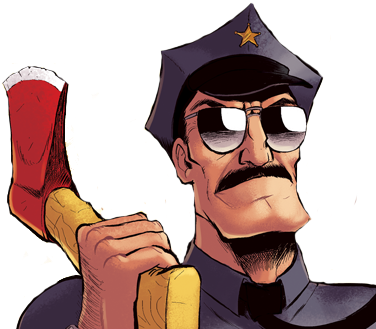 Axe Cop’s first episodic adventure. Created after the website went viral, this was out first time splitting a continuing story into episodes. This is also when I was making each episode 3 stacked pages, so it is actually a nine page story.